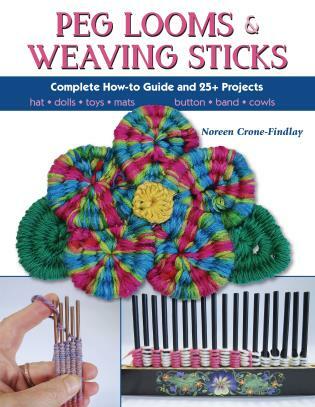 Easy to learn, portable, and lots of fun--that's weaving on peg looms and weaving sticks! This book introduces you to the craft and answers all of your questions. Noreen Crone-Findlay is a fiber artist, author, designer, weaver, YouTube video-tutorial diva, loom designer, workshop facilitator, crocheter, doll maker, and knitter. Over the last 35+ years, her designs have appeared in many magazines. She lives in Edmonton, Alberta, Canada, and maintains an active website and blog, www.tottietalkscrafts.com. She has 1,500 followers on Facebook, and is active on Etsy and Pinterest.